to wherever you want to go. 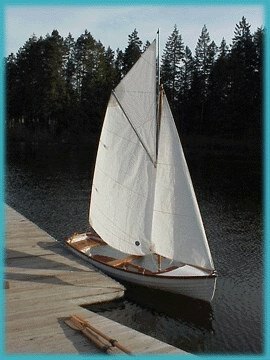 wThe centerboard is made of mahogany and can be stored beneath the center seat when not in use. *Stay lines are made of kevlar rope utilizing its superior strength and friendly nature.